Use these 10 copywriting tips for knock-out content that’ll tempt browsers onto your site, lower your bounce rate and encourage repeat visits in the future. All your copy is worthless if your headlines don’t entice visitors to click through and read further from the outset. People have shorter attention spans than ever; particularly in an online capacity. Use short sentences and short paragraphs. Of course, there are occasionally exceptions to this rule. Who, what, when, where, why and how are critical for good copywriting. Simple words communicate better than big words and pompous language or corporate speak. It’s easier to read and makes it feel more like a conversation. Online readers don’t read everything word for word. Instead, they scan to find what they’re looking for so make your content easy to skim. Use various formatting techniques that break up the text and draw the reader’s eye to important points, for example headings, subheadings, bulleted lists and images (or other media) with captions. What happens when your reader’s finished your page? Call them to action by requesting they visit another related web page, complete a contact form, download a white paper etc. Write sentences with positive words ie. “Don’t get left behind” might become “Get ahead of the competition”. Sometimes negative language is necessary and adds variety to your copy, but don’t overdo it. Logic influences decision making. Use statistics, research data, case studies, testimonials and other sources to prove what you say is true. Not a copywriting tip as such but incorporating various media (like photos, videos, infographics, slides and more) in your website makes a huge difference. Nothing online exists in a vacuum. Linking out to high-quality websites is helpful for your visitors. And, associating yourself with other credible websites will do wonders for your own reputation. 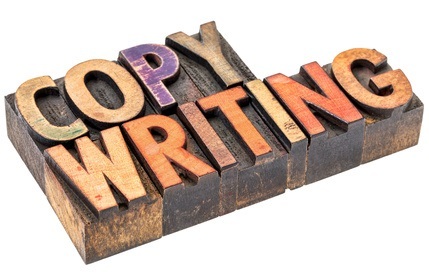 Contact us for assistance with your website copywriting projects.